-Our soybean oil expeller machine is hot sale in the market as one of the most important machines to make soybean oil which is widely used as cooking oils. However, it is not limited by the soybean, but also others, such as the peanuts, sesame. 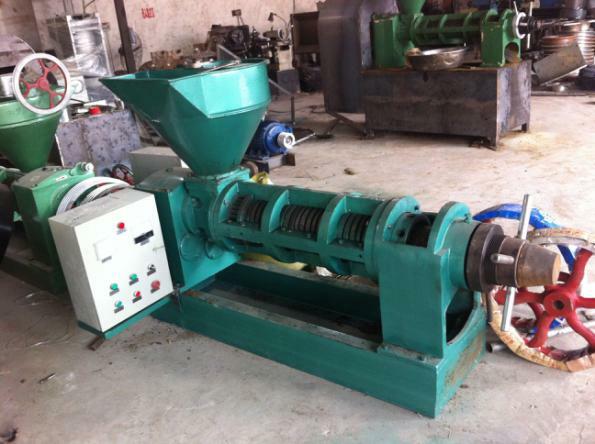 The machine belongs to the screw type of oil press machine. -It has characteristics of small investment, high capacity, strong compatibility and high efficiency. It is widely used in small oil refinery and rural enterprise. -The oil material will suffer strong pressure in the chest, so the oil yield efficiency is high. -Stainless steel material has been used in order to meet the food hygiene standard. -Convenient and easy operational control system that people can learn to use in a short time. -Small size, it is quite easy to set up the machine. -Various sizes that you can choose one according to your real situation. -Without any chemical additive,it is cost efficient, versatile and chemical-free. -Voltage protection functions which provides a safe and healthy work condition for the workers. -High degree of automation that one person is enough to handle with the operation.